Old Fitzgerald Collection – Click for full size. 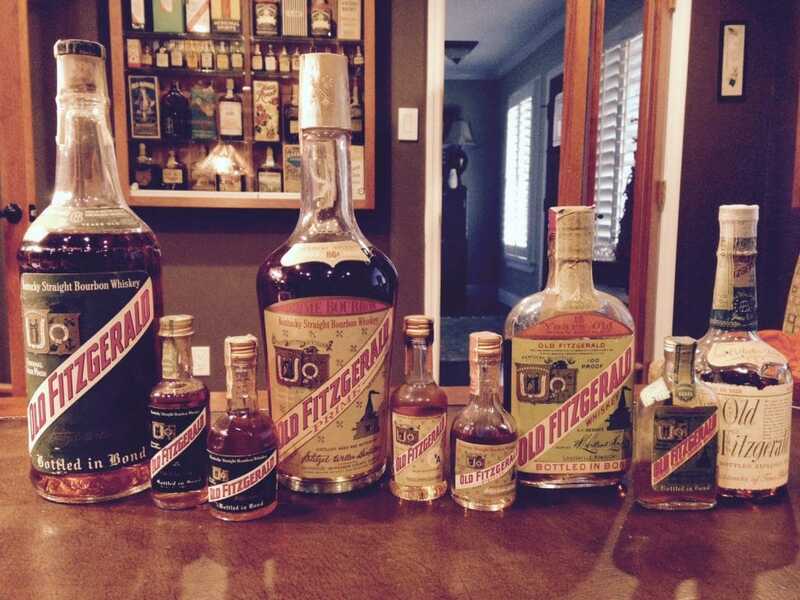 Today’s post is a salute to distiller Stitzel-Weller and the brand Old Fitzgerald. These bottles, all unopened, range from the prohibition era up to the mid sixties or maybe a little later. I’m more in the mood of posting photographs rather than storytelling at the moment, so for an exhaustive and fun historical read, please visit The Coopered Tot’s Old Fitzgerald post. I find myself continually visiting this article for the detailed dates and tasting notes. Cheers!